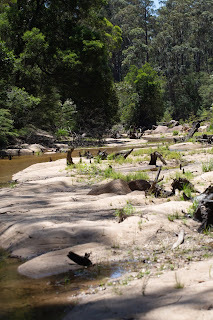 The Cann River rises in the same forests and mountains as the Genoa. The wilderness is seldom visited. 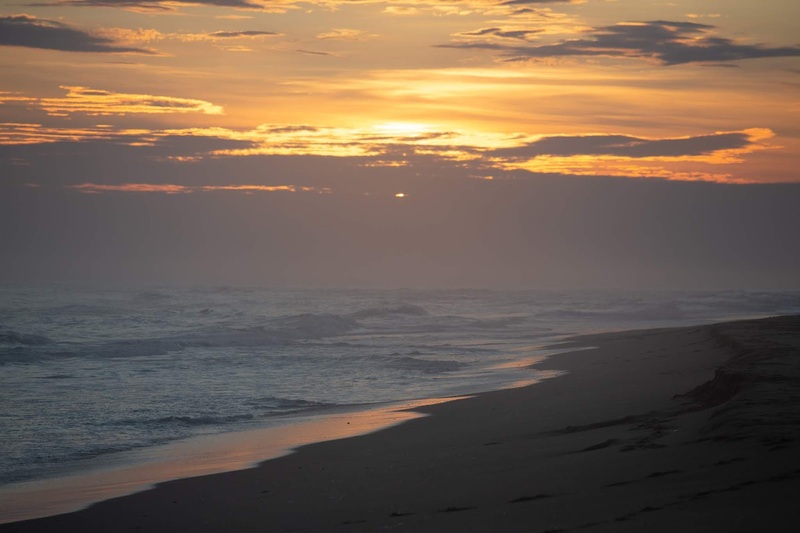 This is a remote part of Gippsland, which the First People of my part of the world, to the north, called Cabone Benel: the South Land. As it descends to the coast, the river drops through a red sandstone gorge. Unlike the Genoa, the gorge still serves as a path from highland to coast, and so the visitor can catch glimpses of the river as they travel. Nearer the coast, the Cann River gives its name to a small farming community that clings to water’s edges before spilling into the intermittent coastal lagoon at Tamboon Inlet. 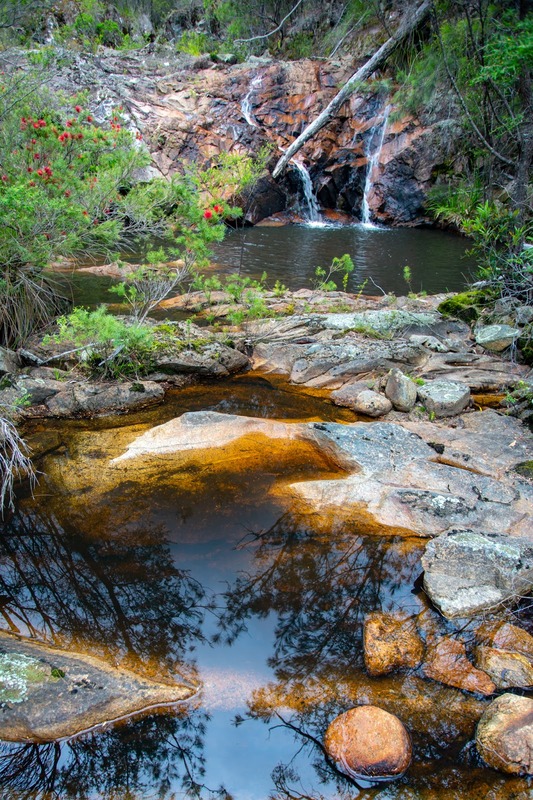 There are few places more inhospitable than the granite highlands of Coopracambra in Gippsland, Victoria. Neither the established nations of the First People nor the European colonials ever laid claim to this wilderness. Even today, few people venture here and, those that return, speak loudly of the silence of the place. It is reported that the remote fire ravaged area once provided a refuge for those escaping the justice of the First People: the Biduelli. Here, it is said, the survivors fashioned a community of 'broken men' (Howitt) living next to open areas of creeks and riverland. 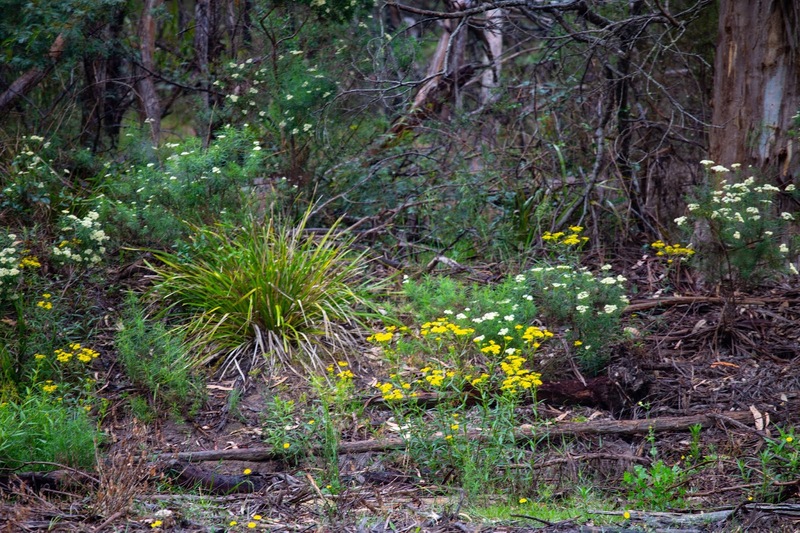 Despite the bad press, the area boasts wildflowers and bees, but only after good rain. Even the colonials avoided this place. Hopping Joe and his grey mare stayed to the north of the plateau. Today it is regarded as the most remote and least visited parts of Victoria. 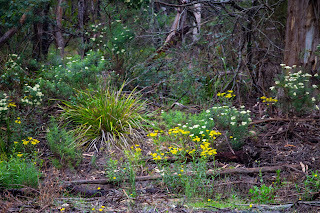 When one leaves behind memories of leeches, mosquitoes and flies (the unsung constants of the Australian bush) the isolation of the place leaves a pristine wilderness area. 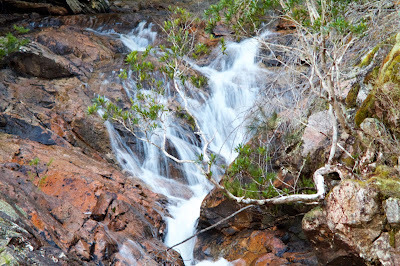 The streams are said to be a haven for rare frogs, the sooty owl and bats. 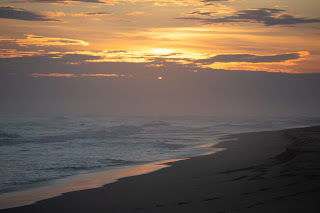 We can only speak of the far-away howl of the dingoes from the fractured landscape. The silence of the upper Cann is broken by creeks that also rise near Mount Coopracambra. From afar, the wilderness promises to be full of undiscovered wonders. Up closer, reality replaces romance. This is a silent rough place. One stream is called Winnots on local signage, but Winnot in official records back in civilization. Perhaps it is the more lonely 'win not'. The water in Beehive Creek is crystal clear; fizzing with air from its drop through the alpine forests of the Coopracambra. Beehive Creek rises in the fractured slopes of the mountains. 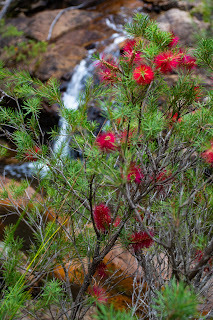 The name of the creek may come from the native bees that swarm here or, perhaps, because of the strange patterns made by the water at the top of the fall. 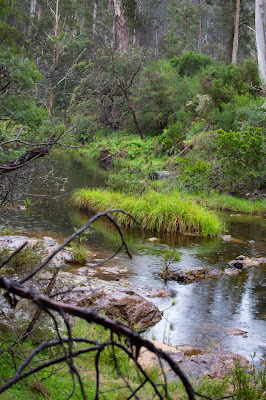 I first ventured here a couple of years ago, but I fell into the ravine and was chased out by a couple of dingoes. Since then, I have played it very safe, avoiding the area when in flood (the road into the falls goes under in two places and only entering the park when the water over the first ford falls to safe levels. Floodwater may be spectacular, but adds layers of uncertainty to any adventure. 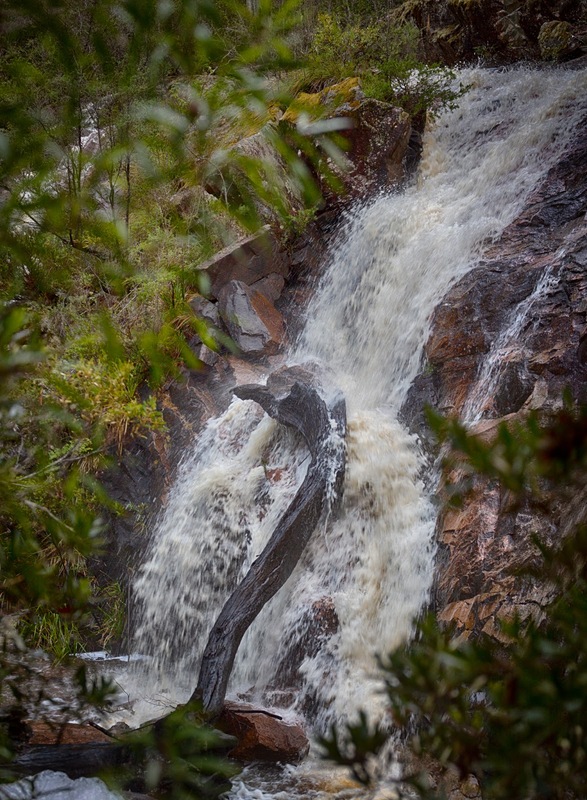 Beehive Creek falls through a long series of cascades in rough terrain. 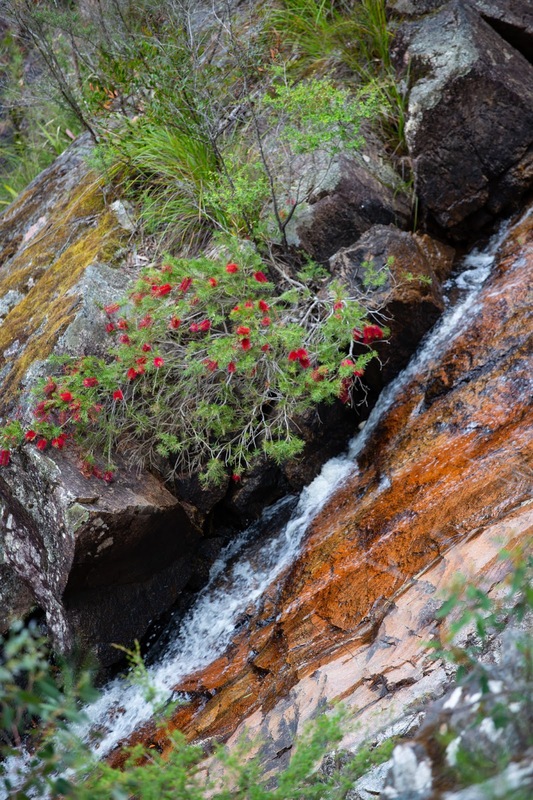 The reddish hue rocks have a number of high drops, but the beauty of this place is the remote untouched wilderness through which it falls. Still, this is not a friendly place. Getting to vantage places to photograph the cascades involves climbing. 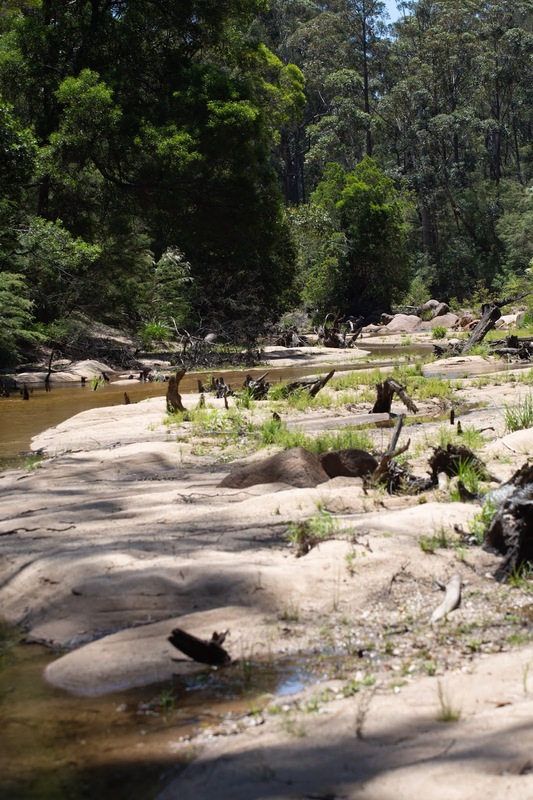 If you do come here, be cautious of following paths that turn out to be dry watercourses. Below the falls, the creek consists of scores of dancing cascades connecting pools of still water. There is a rough path to the plunge pool at the base of the fall and, although part of the path has collapsed, it is still manageable if you tread slowly. The path itself may be thousands of years old. I found access to the top of the falls is a little more challenging. Not because of the steep sides of the ravine, but because as I came closer to the top, a sense of unease overcame me. I am a rational person, but I have learnt to listen closely to the bush (when i may be hours from a settlement or hospital). There are the obvious dangers that can be smelt or seen. Then there are those disclosed by other eyes - the bird in a high tree screaming out a warning of something below or a mob of roos startled in a particular direction. Then there are the dangers that cannot be seen or smelt or felt or inferred, save from shiver that runs down your spine. An old diary I came upon suggest that near its meeting with the Genoa, Fiddler’s Green Creek is home to three high falls. Today the track past the area is closed by a locked gate and the falls have slipped, like so many, from the memory of map makers. 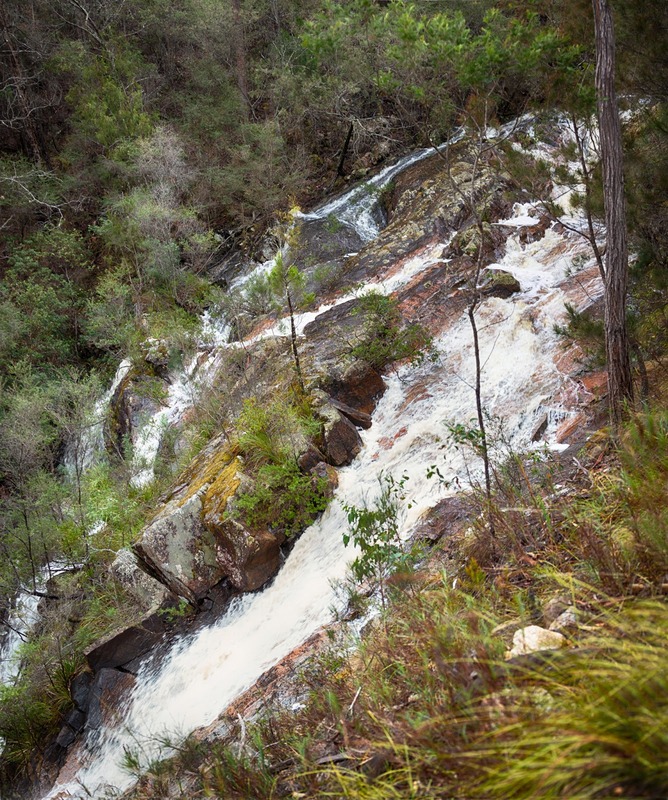 To the north-east of the town of Cann River, on the Thurra River, a rural access road once crossed the top of a waterfall called Neville. "On the 8th day the horses could not move for fatigue, so we left them in a tiny grassy clearing and pressed on towards this bridge in the faint hope that we might find some trace of civilization on the other side. As all the chocolate has been eaten, I am beginning to fear what might become of us." The fall is surprisingly well-named. All of us once had an acquaintance called Neville: the distant friend who invites you to a party with the promise of great music and awesome drinks, but the directions are a bit vague and while looking for the place you run foul of the local policeman and get booked for not wearing a seatbelt. 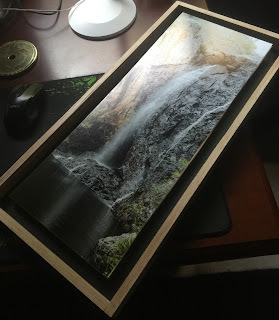 The waterfall of Neville is true to type. 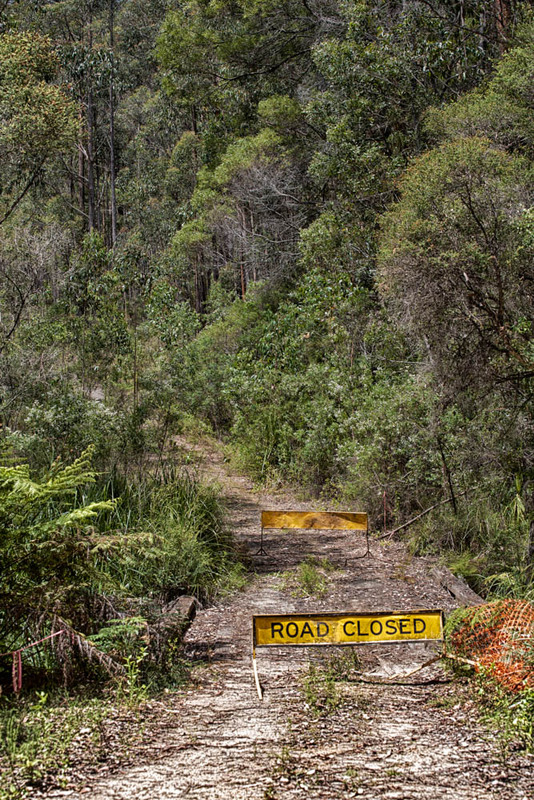 While marked optimistically on a flat map, the terrain turns out vertical, there are fallen trees (and black snakes) across the road at regular intervals, and you are finally stopped by an old bridge with the decking rotted out. To add injury to insult, the sharp road will pierce your tyres, and when you start to change them, the jack will gradually sink into the ground. 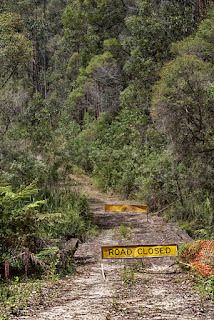 Access to the falls is impossible from the west of Thurra river - good luck to anyone trying the east routes, but perhaps it would be better to hunt for a more reliable party. In an eerie repeat of Neville, to the west of Cann, forestry tracks will take you to Tonghi Falls. The tracks are difficult when the fall is dry, and impassable when the fall is running. Cann River is a small service town along the Princes Highway connecting the southern Gippsland towns. Near town are a small number of farms, in far fewer numbers than the past. 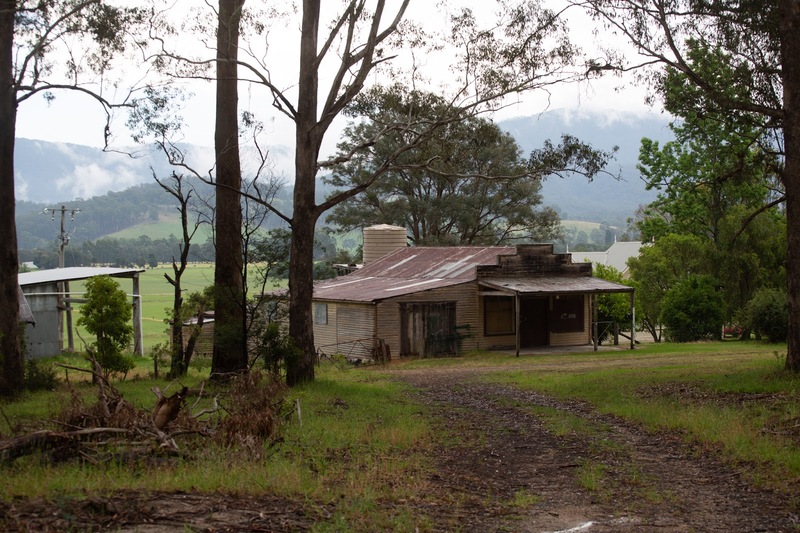 The remote farms have been swallowed whole by forestry plantations, and the old rural roads are gradually falling into disrepair as bridges rot and fall. 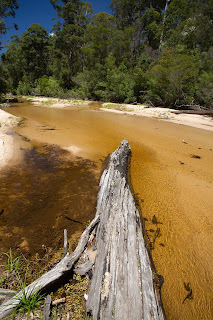 Here, the Cann River constitutes an ancient natural cross road, leading from the sea to the lower alpine regions of the Australian alps. 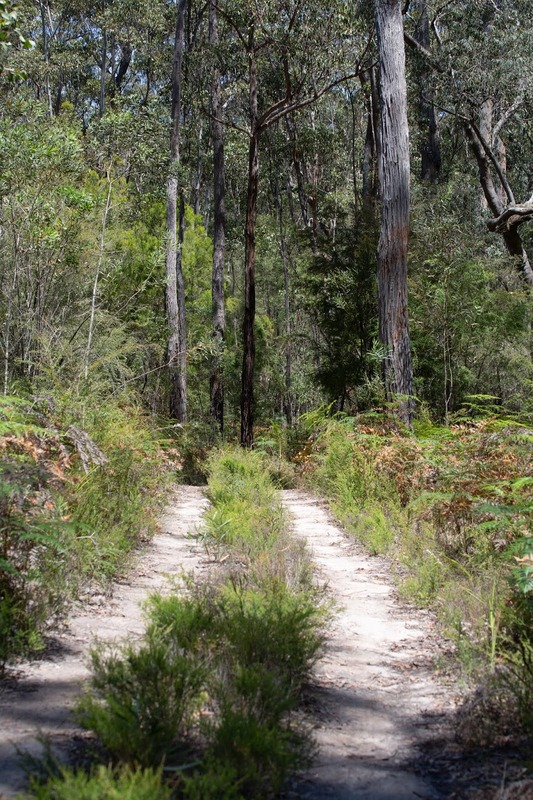 Secondary roads still follow the ancient path, taking you from the farming and forestry lands of far south NSW right to the southern coast. 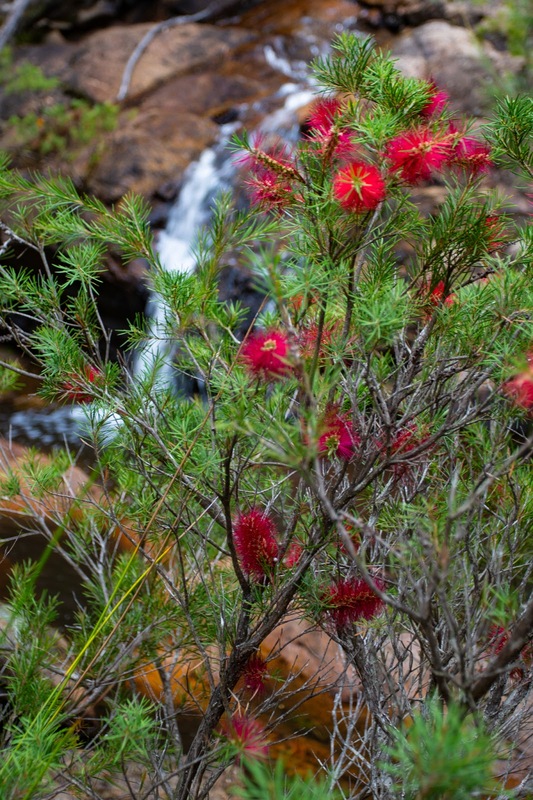 Above the town, the River flows through the Croajingolong National Park encompassing coastal regions through to remote eucalypt forests with granite peaks. In normal times the river flows through town in a gentle flow on a white sandy bed. Below the town, the river again disappears into rough country. 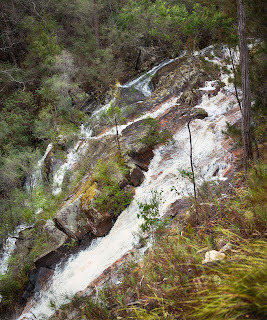 The cascades are back upstream (30 minutes walk along the sandy bed of the river) from the camping spot. The river is hemmed in by dense scrub, so the cascades are inaccessible when the river is higher. The lower falls are inaccessible save by experienced kayakers. 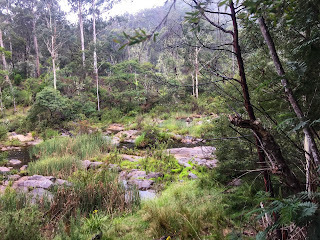 About halfway from Bass Tk to Tamboon Inlet, the river enters the inaccessible Cann (Kruatungulong) Gorge. 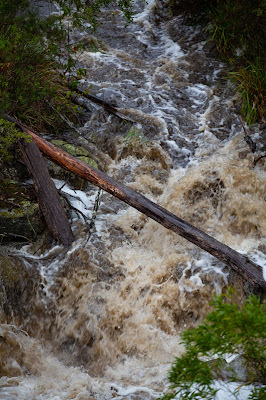 Kayakers report that it falls through a series of intense and powerful rapids (Class IV rapids). The river comes back into sight at the intermittent coastal lagoon of Tamboon Inlet and the ocean. The Cann gives cause to reflect on the fraught relationship between maps and reality - maps are poor protection from the Nargun that reach from unmarked crevices to rip the tyres from your car, or the short squiggle that hides a 500 meter descent. Perhaps the only reliable map is the thing itself, for all else is likely to be fictive approximations and imaginings of the map-maker. But, then again, a couple of words are sometimes all that is needed to map the real risks of an inaccessible path.